Detailing the first tense weeks of Winston Churchill's unexpected ascension to Prime Minister at the height of WWII, Darkest Hour is a riveting biographical drama with a superb performance by Gary Oldman as the bitter, cantankerous politician. 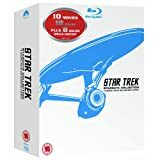 Inspiration bleeds into 4K Ultra HD with a lovely, heavily-stylized HDR10 presentation, the same excellent Dolby Atmos soundtrack, and identical bonus features, making the overall package is Recommended for hardened fans and history buffs. 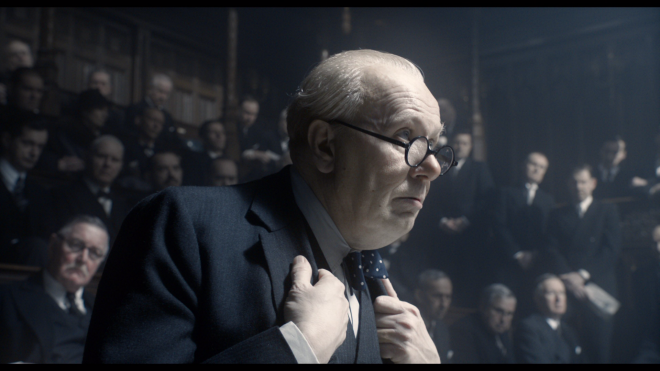 A number of excellent actors have portrayed British Prime Minister Winston Churchill over the course of several decades, and though I've only seen a fraction of those performances, I can state with some certainty Gary Oldman's turn in Darkest Hour looms above most of them. His victory in the Best Actor category at the Academy Awards on March 4 seems like a sure bet, and it would be a popular win indeed. Oldman has enjoyed a distinguished career, and the cantankerous Churchill is just the type of transformative role Oscar loves to reward. 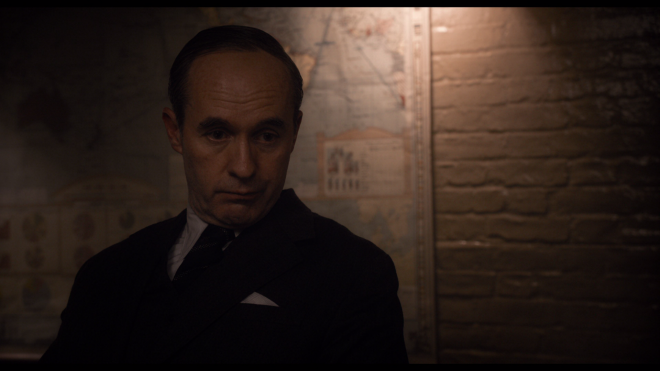 Meryl Streep won her third Academy Award a few years ago for playing another steely British prime minister - Margaret Thatcher in The Iron Lady - so it seems only fitting Oldman should take home his first for Darkest Hour, which just might be the actor's finest hour. Yet Oldman's riveting portrayal is not the only reason to see director Joe Wright's film. 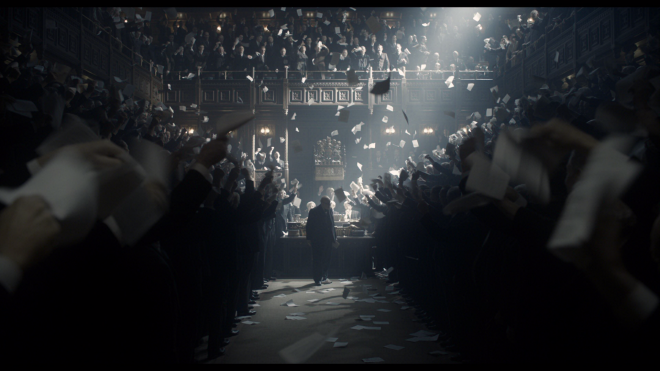 Yes, it often dominates the proceedings in much the same manner Churchill dominated the international stage during World War II, but Darkest Hour, a taut, blistering chronicle of the leader's first month in office, is an exceptional movie in its own right, a fact that's validated by its six Oscar nominations, including one for Best Picture. 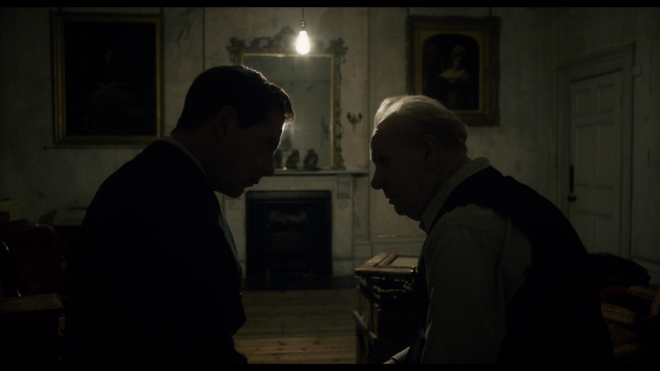 Meticulously crafted, beautifully filmed, and featuring both a lyrical script and terrific performances across the board, this spellbinding historical drama grips us from the opening frames and doesn't release its grasp until Churchill storms out of the House of Commons two hours later. I'm a fan of most of this year's Best Picture nominees, but there's something about Darkest Hour that separates it from the rest of the field. It won't win the top prize this Sunday, but I'll probably remember it with far more fondness than the movie that will. For a more in-depth take on the movie, you can read David Krauss's excellent review of the Blu-ray HERE, and also check out our review of Christopher Nolan's Dunkirk HERE for an excellent double-feature movie night. 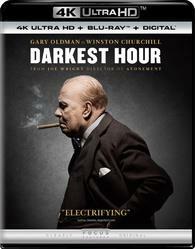 Universal Studios Home Entertainment brings Darkest Hour to 4K Ultra HD Blu-ray as a two-disc combo pack with a Digital Copy code. When redeeming said code via UPHE.com, Movies Anywhere or VUDU, users only have access to the SD and HD SDR versions with Dolby Digital Plus 5.1. The dual-layered UHD66 disc sits comfortably opposite a Region Free, BD50 disc inside a black, eco-vortex case with a glossy slipcover. At startup, the disc goes straight to a menu screen with a static image of the cover art and music playing in the background. Inspiration to never surrender comes to Ultra HD with a beautiful and great-looking HEVC H.265 encode that offers several welcomed improvements over its already-excellent Blu-ray counterpart. Shot entirely on the Arri Alexa camera system that maxes at 3K resolution but later mastered to a 4K digital intermediate, the digital-to-digital transfer displays razor-sharp definition and clarity in nearly every scene, from the individual bricks of buildings and cracks on the road to the random objects decorating every room. Facial complexions are highly revealing, exposing every wrinkle and pore of the entire cast with extraordinary lifelike textures. With much of the movie taking place during murky, poorly-lit interiors, shadow details, thankfully, remain distinct and visible even within the darkest, gloomiest corner of the frame. In fact, a majority of the 1.85:1 image is awash in inky-rich, midnight blacks, nicely complementing the plot's somber, dispirited theme. Remaining faithful to Bruno Delbonnel’s Oscar-nominated cinematography, the 4K presentation is a highly stylized affair, showing heavily subdued and controlled contrast, making much of the picture come to close to black and white in many areas. Nevertheless, whites are noticeably crisper and more enthusiastic, and specular highlights provide a brighter glow and radiance to several scenes although the hottest spots are only a minor improvement, revealing little to almost no extra detailing. The overall palette is heavily desaturated and near monochromatic, focused more on earthier tones, dark ambers and orangey brown hues, which give the photography a more antiquated feel. The limited visible colors appear fuller and deeper while the few splatters of primaries are richer and well saturated. The bio-drama sets sail to home theaters with the same excellent Dolby Atmos soundtrack enjoyed on the Blu-ray, and while there is plenty worth enjoying and admiring, the front-heavy design is ultimately pretty limited with a majority of the attention focused on the center of the screen. 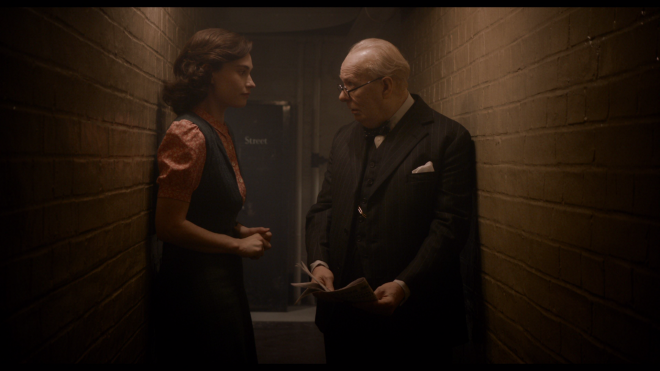 Darkest Hour is a riveting biographical drama that details the first tense weeks of Winston Churchill's unexpected ascension to Prime Minister at the height of WWII. Featuring a superb, Oscar-winning performance by Gary Oldman as the bitter, cantankerous politician, the film is the perfect companion piece to Christopher Nolan's Dunkirk. Inspiration bleeds into 4K Ultra HD with a lovely HDR10 presentation that is faithful to the filmmakers' creative, heavily-stylized intentions. The same excellent Dolby Atmos soundtrack heard on the Blu-ray is also joined by an identical set of bonus features, making the overall package is recommended for hardened fans and history buffs.